Yesterday I promised you I was going to post how I recycled the Grilled Squid leftover I had from Gerry’s Grill. Before becoming a blogger, I probably would have just resorted to throwing away that leftover, since when I reheated it for lunch, it was starting to get chewy/rubbery. The day progressed and I just cannot bring myself to letting the squid go to waste, especially since I know just a few hours ago, this squid was so delicious. 1. Place the squid in a deep bowl. Pour buttermilk over the squid to completely submerge it. 2. Combine flour, salt and pepper flakes in a separate bowl. 3. 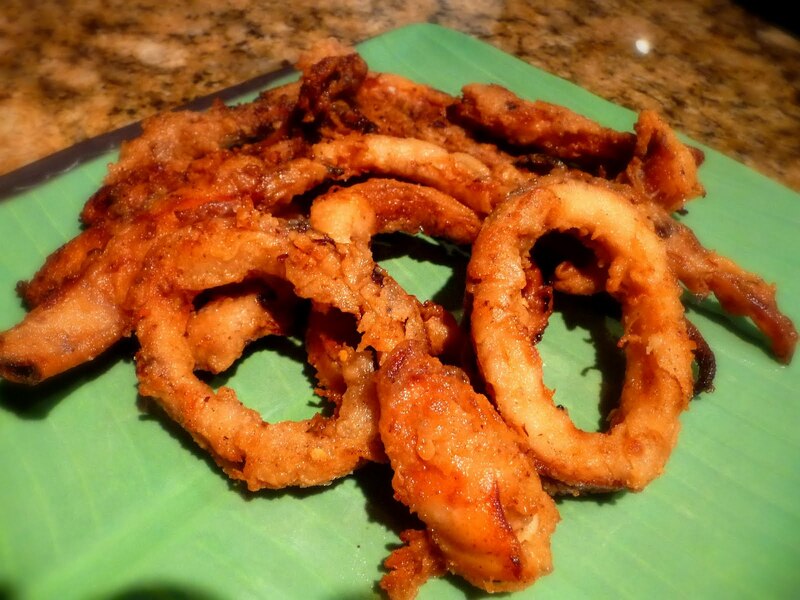 Heat up enough cooking oil to deep fry the squid. 4. Roll one squid ring at a time on the flour mixture making sure it is evenly coated. Deep fry until golden brown. Serve immediately. What a great idea and it's such a shame to waste food -- thanks for sharing this!